Amazon is in expansion mode now, as it has launched AmazonBasics in India and Amazon Kindle Scout Publishing platform in India and 10 other global locations. In 2009, Amazon created their own private label brand called AmazonBasics, and introduced it in USA. Initially, Amazon Basics only covered low-value electronics goods such as USB cables, A/V cables, Ethernet cables, and blank recordable media, such as DVD-R discs etc. But right now, Amazon Basics US has included lot more products such as office stationeries, bedding products (cushion, pillows), bathing accessories such as towel sets, Kitchen and Dining products, Pet products and more. Yesterday, Amazon Basics was launched for Indian market as well, which can be accessed via Amazon.in. 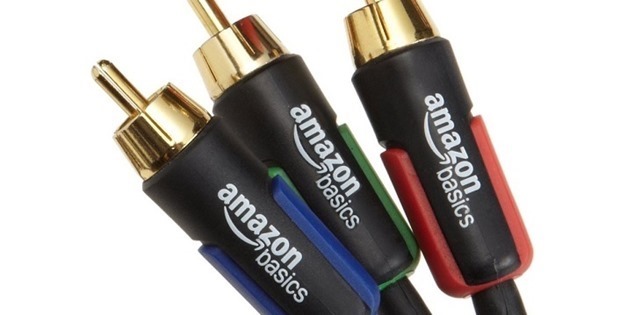 On AmazonBasics India, we can only view electronics accessories like Apple-certified lightning cables, data cables for Android devices, audio video cables and adapters. As per Amazon the range would be expanded very soon. In the US, there are basically two advantages of choosing AmazonBasics product, compared to other brands: Its cheaper (atleast 20-30% in some cases); and it has the famous ‘frustration free packaging’ which is not available anywhere else. Frustration free packaging are designed to make the package open easily, without much efforts; the packaging material is eco-friendly and cheaper to ship as well. However, there is no mention of either of these features for AmazonBasics India, as of now. You can check the entire range available right here. Amazon has finally launched their reader-powered publishing platform: Kindle Scout in India and other regions which include Europe, Canada, Australia, New Zealand, South Africa, Mexico, Brazil, Japan. The concept of Kindle Scout is unique: Authors upload their unpublished novels on the platform, and readers ‘nominate’ it for publishing. In case that novel receives enough nominations, then Amazon publish the book on their inhouse publishing house: Kindle Press, and provide the author with $1500 advance, 50% royalties on that book along with marketing assistance. The new book will have 45 days to prove it’s nomination. In short, a crowd-sourced book publishing, to encourage more readers and more novels. Here are the eligibility criteria and guidelines for Kindle Scout program, and some of the best sellers book which were published via selections from Kindle Scout. Last month, Amazon created ripples across the book industry with their Kindle Unlimited Plan starting at Rs 199 per month. Amazon has been on steroids in India lately. Before jumping into the ‘Food and Beverage’ via Amazon Fresh last year, they introduced Kirana Store Delivery Points to disrupt the ecommerce segment. Early this year, they introduced a market place for local Kirana Stores and a huge market place for B2B businesses as well. In June this year, Amazon enabled Indian sellers to cover 180 global markets, signifying a major consolidation of their cross-country business. Amazon India has already overtaken Flipkart in traffic stats, and their website got crashed within minutes during their Freedom Sale this August. Earlier this month, Amazon India added 7 new fulfillment centers to make it 20 across India; and have already announced that their biggest campus outside US would be in Hyderabad. Not only the traditional ecommerce products, but Amazon India has expanded into other niches as well. Last month, they introduced an underground Android app store and added financial products with BankBazaar.com. In January this year, Amazon had made clear about their intentions, when they announced that 8000 more employees would be hired and in June, when they unleashed a $5 billion war chest for their Indian operations. "Amazon Expansion: AmazonBasics & Amazon Kindle Scout Publishing Platform Launched In India", 5 out of 5 based on 1 ratings.